-- Click here for list of people willing to process fur for this project. Thank you to the many trappers who have stepped forward to help process fur for the Tanned Fur Project. 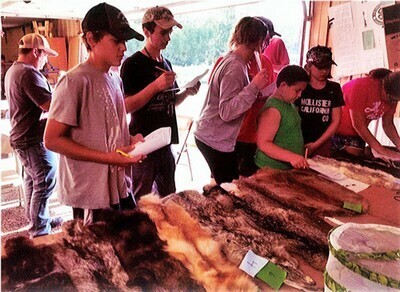 Craig Hilburn hosted the first annual fur processing day at his home on Saturday February 23rd. The crew processed good numbers of otter and beaver and plans are already underway for an expanded processing day in 2020, thank you Craig and crew. Also a big thank you goes out to Don McGaffey for taking home 30 otter, beaver, and fisher from the winter meeting to process, this was a tremendous help. Logistics will be our biggest issue in getting the fur to those that are willing to help process. Rather than the green or carcass fur coming to me and then going to them please check out the MTA’s website for a list of those generous members willing to process that may be in your area. The most efficient process is going to be if the fur can go right to them for processing and I will make arrangements to collect the dried pelts when finished. Bert Highland, Frank Brula and crew once again had a booth at the Duluth Deer Classic. They sold some tanned fur, sold a ton of raffle tickets, and did a bang up job of educating the public on all aspects of trapping. On March 8-10th I will be attending the Outdoor News Deer and Turkey Classic in St. Paul and will display our tanned fur and field trapping questions. Tom Miranda is the keynote speaker and has kindly donated his 3 prime booth spots to the MTA at no charge. We used to have a booth at this show for several years back in the 1980’s but haven’t attended for a long time so I look forward to making a return visit. Thank you to our hard working MOHA rep Randy Goldenman and also to all who attended Trappers Day at the Capitol. The MTA had a well-received fur display at the Capitol and also donated a wolf to MOHA as a fund raiser. Again, thank you to all who gave of their time to attend one or both events. Please tell Randy thank you when you see him, he had gone above and beyond in his duties. Our traveling fur sets continue to rack up miles going school to school. I have been going through each set as they are returned to me to freshen up the collection. Once the pelts go through a few thousand little hands they look worse for the wear and need to be retired. Donations to the Tanned Fur Project for the fall/winter of 2018/2019 are running about 1/3 of normal. I’m hoping for increased donations this spring as folks clean out their freezers and get out on the spring beaver line. After this winter just the thought of open water on a river brings a smile to my face. While on your spring beaver line send some thoughts and prayers to the Peterson family. The passing of Arnie was an incredible loss to the MTA and the trapping fraternity as a whole. 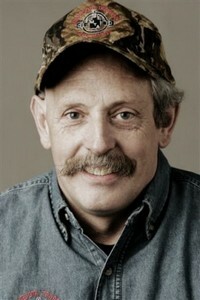 I have never met a finer man then Arnie Peterson, you will be greatly missed by many sir. God Bless Arnie, Kathy, and Tricia. "Thank you to the Minnesota Trappers Association for the use of your furs. Our youth enjoyed learning about the animals and being able to touch the pelts. This has helped them to prepare for upcoming competitions."